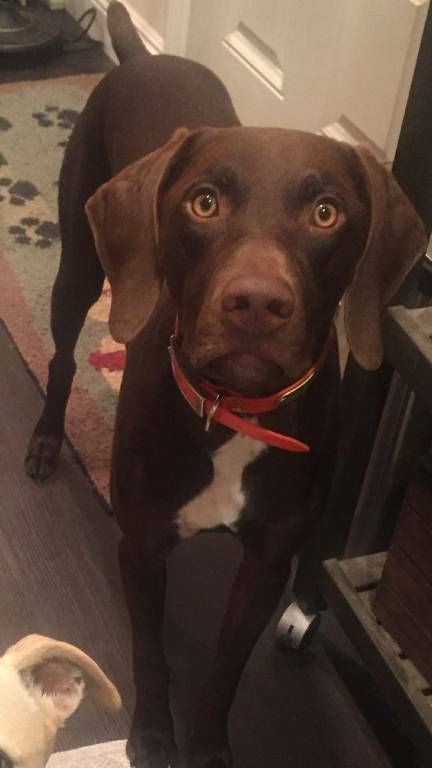 Hi, I am looking for a safety car harass for my 16 month old GSP. He weighs 53 lbs and has a girth if 27" and he is very narrow. The EZdog drive and Sleepy pod haresses are too wide between the legs. The chais choice is too big around the neck, and he chewed through the Kurgo, which was also big around the neck. Does anyone have suggestions? 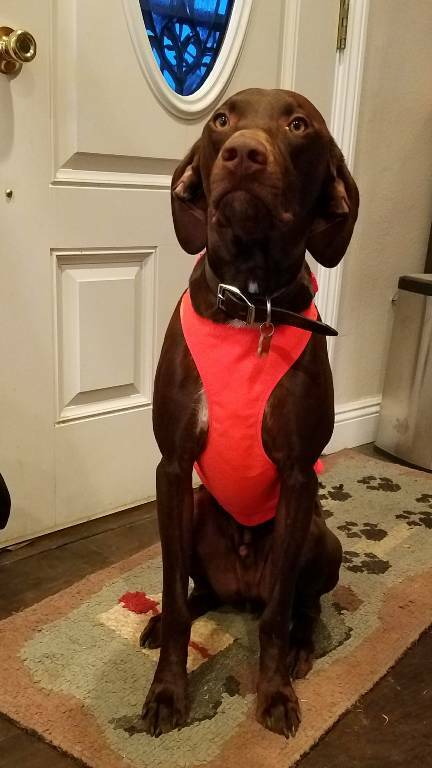 I can't fit a kennel in the front of my Ford Ranger and am not comfortable with him in a kennel in the back on the freeway in CA. For reference, the medium Mendota skid plate fits without rubbing his arm pits.